HOLDEN CAULFIELD: DEFIANT TO THE BITTER END AND - ZINN NO MORE. America and I suppose the world lost two giants over the last couple of days. By far the most famous of the two was JD Salinger author of one of the most popular books ever written ‘The Catcher in the Rye’ with this book he created one of literature’s greatest heroes Holden Caulfield: the original mixed up teenager who seemed to speak for every angst ridden stumbling: fumbling! would be young lothario of the second half of the 19 00’s. like most young men who read the book in those heady rebellious days "Bliss was it in that dawn to be alive, But to be young was very heaven!" ( Wordswoth, OK calm down) I found that it had wormed it’s way into my consciousness in a way that I would never be able to shake off: here I am some 45 years later and I still feel that I know him. Salinger was of course "loosely wrapped" which made him even more 'the man' a famous recluse and: whether he did this deliberately or not: I don’t know but: his famous hermit life style and his sometimes violent and aggressive contempt for the media as well as his general eccentric behaviour made him even more famous, a kind of literary Howard Hughes or Greta Garbo if you will. The world now waits to find out what he was doing over all these years because he published very little after ‘Catcher’ stories abound that he has 15/16 unpublished manuscripts: we wait as well to find out just how eccentric he was and what kind of life he led over all that time when he refused to be seen or spoken to by the media or the public: a fascinating situation. The second person I refer to was Howard Zinn: an American giant in the true sense: I have been conscious of his dignified and gracious presence against the backdrop of most of the struggles of the same second half of the 19 00’s. The marginalised and voiceless people of the USA and the world, the underdogs and the poor had Howard Zinn by their side in every struggle that they fought. He was part of a bomber crew in the war over Europe; an experience which made him question the conventions which governed American society. He went to college after the war and went on to have a magnificent career as a radical voice of the left and an American historian: spoken of in the same breath as Noam Chomski who was his great friend. Zinn can be found in the reports of the struggles for women’s rights: the desegregation of the South: the Anti Vietnam war and every other progressive issue which people campaigned for through that turbulent period. He could fill any hall he agreed to speak at right up to his death at 87 just 2 days ago: he never stopped campaigning and never gave up the fight he was an inspiration to all those who seek justice and peace: he was vehemently anti war but never a pacifist: he never sought the easy way. Luckily: unlike Salinger: Zinn does not leave us wondering if there is more to come. His output was prolific: books; essays: fiction as well as copious recordings in print: radio and television of him debating: lecturing and teaching: a charismatic intelligent passionate human being: a tribute to his great country: he represented the kind of America that I hope we will someday see: I urge you to take the time and make the effort to learn about this great man: a genuinely great American: Google and U Tube are good places to start. 65 YEARS AGO YESTERDAY - WASN'T THAT A TIME? It was my intention to write about Holocaust Memorial Day yesterday on the actual day which commemorates the horror of those times: I put it off because of all the abuse I’ve been taking from the liars who are targeting me with the vile and ludicrous accusation that I am an anti Semite: the bigger the lie eh? I expect that they will try to accuse me of whatever corrupt thoughts enter their minds. They will no doubt try to suggest that I am exploiting these events but: I am sure that they would want to intimidate me and prevent me from writing, that would be a victory for them: I have decided not to allow these people that victory: it would be a betrayal of those who suffered and died: over and above that I will not be silenced by liars and bullies. One of our companions was a wiry little retired Welsh miner of indeterminate age who volunteered the information that he was self educated (to a high degree) and that he was a lifelong communist: he displayed an encyclopedic grasp of history embellished with his own war experiences. The group were mainly not very enamoured with the Germans and what some saw as their ‘character’ which allowed them to do such things. The Welsh wizard in our midst then stunned us all by pouring forth the following ‘tour de force’ which I now do from memory but: I’m sure you will get his drift. He said “never mind Hitler what about Beethoven: forget Goering what about Gutenberg” he warmed to his task as he growled “F**k Himmler think about Handel and Bach, all Germans and all giants” As we piled back on to the coach we could still hear him loudly naming Marx and Engles: among others. He opened some minds that day and forced us to think about ourselves: he was of course emphasizing that it was events and circumstances which produced the Nazis and the Holocaust and not the ‘German character’ he left us with the uncomfortable thought that perhaps we could be capable of doing such things: he was in no doubt and neither was I and that dear reader is a good example of why we must continue to remember the horrors of the Holocaust and reflect on the uncomfortable truth that it is mankind who is capable of such acts not just one nation. I often think back to that day and I remember trying to picture what it must have been like when the Russians liberated Auschwitz 65 years ago yesterday: what went through the survivor’s minds? how did they react? Surely none of them thought they would survive? A week later we were in Warsaw walking through the Warsaw Ghetto: this time without a guide: the incredible little Welsh communist miner knew it backwards and talked us through it all. I sought out his company as often as I could and he made the holiday superb: along with others we only called him Taffy on his insistence: I don’t even know his name, I wish I could send him to every school in the country. ZIONISTS HAVE THEIR OWN DENIERS AS WELL. I can’t resist an update on my impersonator; he /she has now provided me with approx. 300 hits a day I’m famous; even if they are coming from people who are trying to damage me and don’t have the bottle to come out in the open. I must be fearsome; I’m beginning to scare myself; here are all these tough guy Zionists breathing fire all over the place; Google ( Harry’s Place ) and see. What would these cowards have been like in the Warsaw Ghetto if they can’t face me? Not only are they quivering behind anonymity; some of them are still clinging to the obvious fiction that it was me who wrote these comments; desperate stuff, go read their trembling attempts to hide the fact that they were made fools of. Such is their pathological bigotry that they were ready to jump on to this c**p and wrap themselves in it no matter how dim-witted it was; defenders of Israel how are ye! Let’s try to shine a light on these liars and cowards; Zionism is an evil creed it justifies any crime in the name of Israel; Gaza being the most obvious example. The followers can do anything they like to the Palestinians because God told them 2000 years ago that it was their promised land; if only he had stuck to turning water into wine the place would have been a whole lot happier especially if he had passed on the trick to other generations eh? There are millions of people like me of all religions and none; including Jews; who are horrified by Israel’s behaviour all over the world. I have learned over the last few days that to write anything critical of Israel I have to weigh every word; check every point made because rather than take part in a debate these liars will hide behind every trick in the book to avoid a proper debate; they will obfuscate and dive ever deeper into semantics and split hairs to avoid reasoned disagreement and it leads to web sites like Harry’s Place where nothing is as it seems; where argument is engulfed in ever decreasing circles by these Zionists bullies who will do anything to defend the indefensible. I am now the target of a dishonest campaign by Zionists with help no doubt from the crazy cybernats to try to intimidate me and shut me up but; I have a question for them. How do you intend to intimidate someone without facing them? How do you scare someone when you refuse to come out of hiding? I reckon that had the present crop of gutless Zionists responsible for this garbage been around instead of their ancestors in 19 48 there would have been no Israel. I hope this runs and runs I can do some damage to the bad guys with this. While looking at the numbers of hits on my site the other day I noticed quite a dramatic increase in visitors and on investigation I discovered that the vast majority were from the Guardian Web Site; as an avid reader of that great newspaper for 40 years I was real chuffed. On closer examination I realized that the comments were full of hostile rants against things that I was quoted as saying on my blog which were printed on the Guardian blog; the problem with it was that I had never written a comment to the Guardian Web Site in my life. The Guardian when contacted apologised and took down the comments; the same thing happened in the Scotsman a couple of months ago. I asked the Guardian and indeed the Scotsman a while ago to tell me who was behind this and they both replied that they do not discuss third party sources. I find it hard to believe that someone can impersonate me and do God knows what damage to me and the newspapers that accommodated them in doing this can wash their hands of it; that is how I see it at the moment but; if anyone reading this thinks or knows otherwise I would be delighted to hear from you. The numbers of visitors continues to soar and the same thing is happening only they are now coming from various web sites and they are unremittingly hostile and abusive. The method remains the same; web sites which I have argued with for years are now printing lots of bogus comments purporting to come from me and the hostile comments are flowing in; many of them are of a vile nature and I am still in the position of being unable to do anything about it unless someone can advise me differently. One aspect of all this is that I am very happy to learn that I am such a threat to them that they have gone to all this trouble and not in a very subtle way; unless you believe that these hundreds of hostile comments are spontaneous and not orchestrated which they clearly are. There is an unmistakeable pattern to them; they are anti me; anti Socialist and pro Zionist; I doubt that the mighty Zionist lobby is very concerned about little old me so my money would be on the knuckle dragging cybernats as I said they are not known for their sophistication. I feel quite vindicated; here are these people who have vilified me as an idiot; a clown; a nut case etc. etc. and they are now going to incredible lengths to damage me and doing so using blatant lies; Joe MCArthy will be spinning in his grave; bring on the wee sleekit timorous Gnats this is going to be interesting. RENFREWSHIRE SNP ABANDON THE EDUCATIONAL HAVE NOTS. The SNP have been in charge of Renfrewshire Council for almost 3 years and their 3 Rd. budget was put forward on Mon. Jan. 18 Th. 10. Those who thought with good reason that Education would be free from from further cuts bearing in mind the carnage that the SNP have caused in education with their previous 2 budgets were astonished to find that they were wrong. The damage being done to educational services under the SNP/Lib. Dem. administration continues as the savage assault on learning goes on unabated; hundreds more teaching jobs are to be lost; thus consolidating Renfrewshire Council’s shocking position as having the worst pupil teacher ratios in Scotland. School closures; the loss of teaching jobs; the closure of teaching projects which were designed to help the worse off; the cuts in music provision; the chronic shortages of equipment and more have contributed and continue to contribute to the destruction of morale among staff; the increase in pressure among worried parents and the stress on pupils; it’s a clear denunciation of the council and the SNP led administration. The most inadequate education convener in living memory; SNP councillor Cameron continues to wrap herself in the cowardly cloak of good exam results; she reckons she is safe with this but a cursory investigation notwithstanding celebrating pupils achievements begs the question; when millions of pounds are cut and continue to be cut; is it valid to suggest that this means there is de facto damage being done to the service; I believe that’s rational so; where is the damage if pupils are achieving better results ? The answer is that they are not; the truth which Councillor Cameron and the authority choose to ignore is that some pupils are achieving more and a great many more are achieving less. Some pupils go through the education system and leave with modest or no qualifications yet it can be sincerely said that some of them achieved more than the young person who left with all the A’s; this is because we are not comparing “apples with apples” and this why Renfrewshire Council and Convener Cameron and the SNP ought to be feeling shame; put another way it is perfectly feasible to give the prize for the pupil who achieved the most to a kid with no qualifications than to one who got the qualifications because of the differing circumstances which at times apply. What is happening to the children who are not sitting these showpiece exams? When millions of pounds are cut while exam results get better who is taking the hit? Those who were never in the running for academic distinction, that’s who. These less well off children and their families have been forsaken by the SNP/Lib. Dem. administration for financial reasons; when the administration states that they have maintained high standards despite huge cuts they are lying; they are dishonest because they are only referring to those pupils who achieve good exam results; the rest are deliberately excluded in the tables and self congratulations; this constitutes a lie of omission. Remember that one of their leading councillors Cllr. McCartin Lib./Dem. stated that they would cut music tuition in half for students and still improve their standards; that is the level of acumen among senior councillors in the SNP Lib. / Dem. administration in Renfrewshire. These are the same people who awarded senior council officers massive wage increases of approx 17% which saw several officers receiving a rise of £11,000 a year; more than some council employees get for an annual salary; and catch this! One of last Monday’s budget announcements from the SNP was to abolish the annual day trip for old age pensioners You need to be a real “Braveheart” to do that right? They call themselves Scotland’s Party they really do; honest. They are Scotland and Renfrewshire’s shame. People who keep up with comments on my blog will be aware of another attempt to accuse me of censoring or banning people who comment. This is always done by those who remain anonymous and also because it is not possible as far as I can make out to prove my innocence. I’m happy though that anyone who reads the blog and comments regularly will know that the accusation is a lie. Someone you will not have heard of for a while is the anonymous “Ariel” who has written to say that he has been banned so; for the sake of clarity I can inform you that our last spat ended in me asking him in a perfectly reasonable way to answer a question relating to our argument; he has chosen not to answer on 3 or 4 occasions. He can’t answer because he knows that his answer will involve him admitting to being a racist so; the ball is in his court. He has not been banned and he knows it; he is a liar. AMERICA'S GOD OF WRATH PUNISHES HAITI THROUGH THE REPUBLICAN RIGHT. When you imagine that human beings are capable of horrific thoughts and deeds; when you consider the truly awful things that humans have done it makes you despair; a row of good deeds and some quiet contemplation can partly restore your belief that we are basically decent; witness the response to the Haiti tragedy; the world is rushing to help. Except that is for some people who live in the richest country in the world America; I have no doubt that there will be some disturbed evil people who couldn’t care less about the dead the suffering and the dying outside America but the ones I refer to are prominent Americans; well educated influential and very wealthy; the Lord tells folks to give them money; praise the Lord; and pass the collection plate. Next up is a very rich disc Jockey called Rush Limbaugh who has a radio show which has a huge following his reaction was that the Haiti tragedy was the "fault of Communism" ? And that Americans should “not donate a dime” to the Haiti appeal. This evil man is also an influential Republican; these truly wicked and horrible people are powerful players in Republican politics. I’m not the most religious person in the world but it’s at such times as these that I hope there is a devil and a hell and that he is keeping the warmest corner of hell for these two god fearing patriotic Americans. HAITI - YOU CAN HELP. In Haiti mother nature has just reminded us again of how diminutive the human race is in the face of her power; the death and devastation is almost beyond comprehension; tens of thousands perhaps dead in the space of a few seconds; here in Britain we struggle to imagine what has happened. We have disasters for sure; floods; explosions; landslides etc. but nothing which comes anywhere near this; some will go there to help; some will organize aid; some will send donations and a great many people of all religions and none will pray for them; a disaster of this magnitude touches us all. It seems desperately unjust that the country which is described as the poorest in the world should be visited by such ruin and death; the people of Haiti are completely stunned but already they are showing signs of fighting back which is beyond doubt heroic. It will be many years before people’s lives are in any way normal and for some that will never happen; the loss of family members is devastating especially children. The world community or the “family of man” which we all belong to is making a huge effort to assist with the tragedy and we can all do something; most of us will only be able to make a financial contribution; I expect people in their millions to do this as I will. We are often told by aid workers that every little helps and there has never been a time when that mantra was as important as it is now; no one need worry about the amount donated because there will be millions who will donate small amounts and they will amount to a huge sum so go for it. I have been contacted by Douglas Alexander MP; Minister for International Investment who has asked me to make a donation which I will be doing; the way of doing this is shown below. Just visit - www.dec.org.uk or call 0370 60 60 900. Watching the foreign news channels earlier I saw the demolition of 20/30 Palestinian homes by Israeli Bulldozers; a brutal show of bullying by a world super power against a helpless people who have nothing. These actions are going on every day in Palestine while we stand on the side lines wringing our hands; Israel continues to defy the UN and the rest of the world and gets away with it because America supports them; if America said stop they would but; so strong is the Israeli lobby in America that they daren’t say it; war crimes are being committed by Israel and the world does nothing because of the Israeli influence on American society; when will it stop? Also on the same channel (Press TV) reports were shown from Cairo where Egypt had stopped the Viva Palestina aid convoy heading for beleaguered Gaza; thousands of volunteers were there from all over the world and they were carrying nothing more dangerous than medicine and babies nappies. The convoy workers who were interviewed were quite inspirational; among them were Rabbis from Britain; France; America and Israel itself all demanding that relief be allowed in to Gaza; this of course gives the lie to those who immediately shout anti Semite at anyone who is critical of Israel; there were too many Israeli flags on view to allow that jibe to stand. One very distinguished and ancient looking old Rabbi from Manchester with his black hat and long beard was asked what he hoped to achieve and he said “to bring relief to the suffering and to show the world that Zionism is not Judaism and Judaism is not Zionism; Zionism is an affront to Judaism” hugely humble and uplifting. These brave people will not go away as long as the Israeli state persecutes Palestinians and treats them in an inhuman way these people will be sustained in the belief that they have right on their side. While this goes on; while a British MP (George Galloway) is expelled and barred from entering Egypt; while infants die of diseases which the convoy can provide cures for they are not allowed to enter Gaza; how long Lord! how long! The biggest disgrace of all is that we can’t see any of this on our national TV channels; why? why do we have to rely on minority channels like Press TV and Al Jazeera to see what is happening; turning a blind eye to the suffering of these innocent people for fear of America opprobrium is becoming Britain’s shame. The BBC refused to advertise an appeal for help for the people of Gaza which was a disgrace and now they refuse to show us what is going on but we still claim the high moral ground over countries like Iran; what utter hylocrisy; write to your MP’s; MSP’s; MEP’s; anyone you can think of; look at the Palestinian appeal details at the front of this blog and do something; for God’s sake do something. “As he was ambitious I slew him” (Brutus explaining why he killed Caesar) it has the power to inspire great deeds and vile acts; it is good for a scientist to be ambitious about curing cancer but bad for a politician (like Caesar) to seek glory for his own sake; at least that’s what the conspirators claimed and they were led by an ‘honourable’ man; Brutus. This week we have witnessed an act of revenge borne out of thwarted ambition as Geoff Hoon and Patricia Hewitt threw their last desperate hand grenade into Gordon Brown’s lap; then hid among the corridors of Parliament; they ran up their flag and nobody saluted it. These two reached ministerial office under the patronage of Tony Blair; both were known to have a good conceit of themselves and both were ambitious; Brown’s ascent meant their descent and both skulked away to nurse their wrath until they could strike back; not as they have tried to say for the greater good but out of revenge for thwarted ambition; they are not unique, it was ever thus in all parties. Take Charles Clarke; please! that’s an old joke; nearly as old as the wretched Clarke’s hatred for Brown; he was Home Secretary and saw himself reaching the very top of “the greasy pole” as Disraeli called it; No. 10. The clunking fist did for him as well and he became obsessed with causing Brown as much trouble as he could even to the extent of bringing down the Labour Govt. and handing victory to the Tories; this personal ambition is a serious thing; add it to the pride and malice of a Charles Clarke and you have a potent and toxic threat. Think of the loathing that Powell had for Heath and his former colleagues after they did for him; Heath in turn after Thatcher did for him and don’t forget the malicious presence of two of the most personally ambitious politicians of them all “Margo and Jim” both of whom would have shot their own parents to get to the orphan’s outing; Margo saw herself as Scotland’s first Lady and when she lost out she fled to the back benches as an independent where she sticks needles into Salmond (the spiv’s) effigy; and Jim? Just call him “3 parties Jim” and say no more. Gorgeous George Galloway is another case in point he was a rising star who saw a dazzling career ahead; he became frustrated at people being promoted before him who were inferior to him as he saw it which means everyone; and he decided to become a big fish in a small pool; he now wants us to be beaten which makes me question his motives from the start, BTW I wish him every success in his GAZA mission. One of the most celebrated cases of comrades dislike for each other provided one of politics greatest ever quotes when someone described Labour’s Herbert Morrisson as “his own worst enemy” Labour Giant Ernie Bevin said “not while I’m alive he’s not” there’s nothing novel about this week. Gordon Brown is still standing; bloodied but unbowed; a giant in the midst of those around him in the House of Commons; a man of truthfulness and integrity; a man with the courage to stand up for what he believes in and stand up to the orchestrated onslaught which continually surrounds him. He will lead us into the election and when the people see the stark choice between him and the representatives of the upper classes in the Tory cabinet; when Scots. see and appreciate that an SNP vote will only help the Tories we will win; Gordon Brown knows that his enemies are vicious but he also knows who they are and that sustains him as it does me; it will sustain the people when they focus their minds come the election; the questions will be the same; Labour or Tory? Cuts or services? NHS or private health? Education for all or Private schools? Fairness for all or privilege for the few. Yes it all has a familiar ring to it; that’s because it’s worth fighting for and we must never give in. 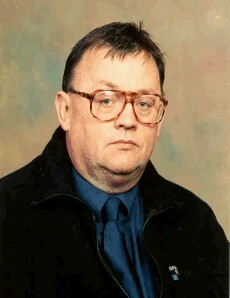 THE REAL MACKASKILL SURFACES - COMPASSIONATE MY JIM ROYLE. The mind-set of many politicians relating to Law crime and punishment is a continuous source of disenchantment; far too often the agenda is set by red top newspapers like the Sun. The newspapers and other media journalists whip up fury and goad a gullible public into backward-looking positions which bear very little similarity to any kind of justice. Very few politicians have the courage to face down the Murdoch Empire when it comes to crime and punishment; a great many of them are scared stiff of being branded ‘soft on crime’ Depending on how high up the political ladder you go the more of this you will see and it also reveals the lengths that some will go to; to protect/advance their political careers. Some time ago the SNP Justice Minister Kenny McAskill took the correct decision to release the Libyan prisoner Megrahi on compassionate grounds; I said at the time that this had more to do with McAskill’s inability to resist being in the world spotlight and today we see that he is ingratiating himself with the reactionary right by agreeing to consider allowing Juries to be made aware of an accused’s past record; a move which will make him very popular with the right wing populist media. This is far nearer to the real Kenny McAskill; apolitical and ambitious; determined to claw back some of his damaged reputation as an appeaser and ‘soft on crime’. Voices have already been raised in protest but not; surprise; surprise political voices. The most obvious example of this craven behaviour is to be found in successive home secretaries in relation to the case of the Moors Murderer Myra Hindley; the case was one of the most infamous in British legal history. Based on the system of early release which is used in Britain she should have been released long before she died in jail; she was not released because no Home Secretary had the courage to do the right thing; whatever you think of Hindley she ticked every box for release; the nature of her crimes and the constant campaign against her by the gutter press meant that it would have been a massively unpopular decision and Home Secretaries took it in turn to run away from it. Whether you or I think she should have been released or whether we think she deserved to die in confinement or whether there should have been a private members bill to allow her to be executed is neither here nor there; none of the experts in the criminal justice system; none of the criminal psychiatrist etc. were prepared to say she should be kept in jail but she was; because of political cowardice. MaCaskill is so ambitious that he; as a zealous nationalist is prepared to consider overthrowing one of the major legal differences between Scotland and the rest of the UK like the others mentioned he knows it will sell to “the man on the Clapham Omnibus” When we hear of someone known to us; some local thug for instance being put on trial for an alleged crime there is a strong tendency in all of us to say “I’m not surprised he’s got previous” and this is exactly the danger; if juries are privy to that kind of information; it destroys the “innocent until proven guilty” legal custom which protects everyone. Innocent; though unsavoury characters would be jailed because the jury were influenced by their previous bad records and the guilty would not even get to court. Donald Finlay QC; not an easy man to like is nevertheless correct when he says that under this change accused people would be judged by what the jury think of them rather than the evidence; likewise the equally difficult to like political contortionist Paul McBride QC is spot on when he says that it’s corroboration which counts not past records. Another nameless QC stated that “there had not been a single case in Scotland in recent years where a person had gone to trial charged with a particularly serious offence that he had also committed beforehand, and been acquitted” The Police rather as expected are right behind McAskill the result for some means everything; this would take us a step toward saying “well he looked like a right evil b*****d, guilty m'lord”. Police already respond as they did in Casablanca when Major Strasser got shot and Captain Renault said “Round up the usual suspects” so those with ‘form’ and who are known to the Police are already a goal down when something with their MO on it happens. The classic case being Paddy Mehan who was such a well known criminal that he got life for murder and; notwithstanding his criminal past was in fact innocent. Cases must stand alone; nothing but what is evidence pertaining to the case should be introduced; any change to that principle would mean that people are not innocent until proved guilty and that people are not equal before the law. McAskill’s stunt should be seen as just that; a cheap attempt to curry favour with the yellow press and their repellent owners. The law has to remain above people like him.